Based on your Votes, Anto and Khloe will step into the Big Brother House to take hold of their double chance at the game. Talk about second chances; Double Wahala - double chances! 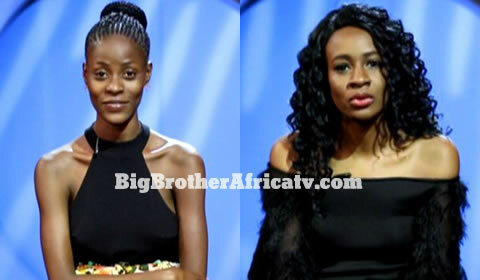 Based on your Votes, Anto and Khloe will step into the Big Brother House to take hold of their double chance at the game. They will enter the House and receive full opportunities and privileges that are extended to all the other Housemates. We started the Double Wahala season with Housemates playing in duo teams, Big Brother has maintained this drama and tension with loaded Tasks and twists for the Housemates to play along with. In last week’s Eviction show, Ebuka confirmed another twist: Big Brother gave the viewers the power to bring back two Housemates to play for the 45 million Naira. They are returning to play the game in their individual capacity, and no longer in any pairs. Even though they have been in the outside world, they will not be allowed to talk about their experience, or communicate that with the other Housemates. Big Brother and his ninjas will be sneaking Anto and Khloe into the House at 3am (WAT), and we’re all following #BBNightVigil to see that unfold. We all know that Khloe and Anto were very spicy ladies to say the least, with bold ideas and not afraid to share them. Do you think they’ll be bringing more of that pepe flavour in the House? Big Brother also summoned all the Housemates into the Arena for a game reset. Stay tuned to see what exactly that means for the Housemates and the game this season.